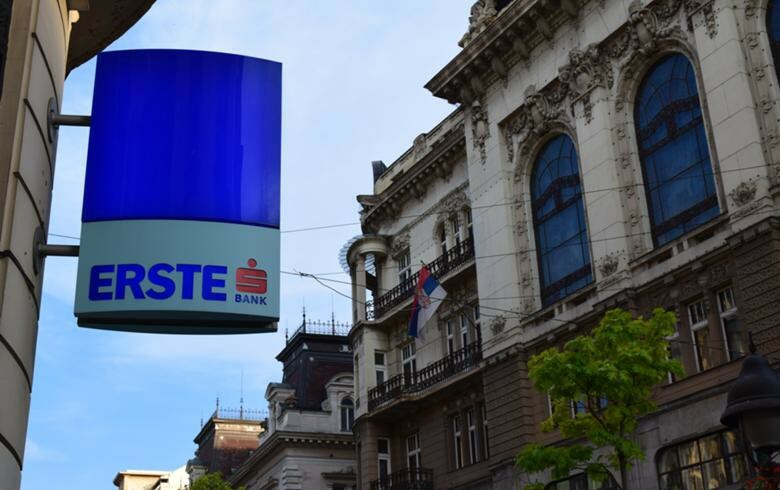 BELGRADE (Serbia), February 12 (SeeNews) - The net profit of Serbia's Erste Bank Novi Sad rose 9.2% year-on-year in 2018, reaching 2.918 billion dinars ($27.9 million/24.7 million euro), the bank said. Net interest income grew 5.3% to 6.691 billion dinars, while net fee and commission income increased 5.4% to 1.589 billion dinars, Erste Bank Novi Sad said in its 2018 unaudited financial report. The total assets of Erste Bank Novi Sad rose to 202.9 billion dinars as at end-December from 168.3 billion dinars a year earlier. Erste Bank Novi Sad said Earlier this month it plans to issue two-year bonds in the total nominal amount of up to 3.5 billion dinars. Erste Bank Novi Sad is part of Vienna-based Erste Group, which serves over 16 million clients in Austria, the Czech Republic, Slovakia, Romania, Hungary, Croatia, and Serbia.